Pressure and Power Washing in elizabethtown, leitchfield, and south central kentuchy AllClean Professional Power and Pressure Washing Company, WeService areas, "Elizabethtown", "Bowling Green", "Leitchfield", "KY", "south central ky"
wants to get rid of the general "Yuckiness" that accumulates over time. all too common when dealing with less professional companies. results, combined with an unparalleled level of excellence in customer service. power washing provider. AllClean is the safe, effective & affordable solution! for your property using our professional, safe and proven cleaning methods! We are your Pressure Washing - Power Washing Professionals service all of South Central Kentucky including all the areas around Elizabethtown, KY; Leitchfield, KY; Bowling Green, KY.
KY contractor providing Pressure Washing and Roof Cleaning, exterior cleaning, pressure washing and exterior wood care for Kentucky homeowners. 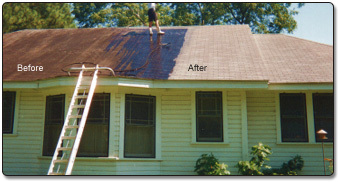 Elizabethtown KY Pressure Washing Contractor. House Washing Elizabethtown KY. Bowling Green KY Pressure Washing Contractor. Louisville KY Pressure Washing Contractor. Etown Pressure Washing. Kentucky pressure washing. Kentucky Power Washing. Leitchfield Kentucky. We GUARANTEE 100% You Will LOVE Our Work, Service and Crews or You Owe Us NOTHING! Pressure Washing Company to Transform your place. Personal Guarantee that if you don't LOVE the Service - YOU won't have to pay ONE CENT!!! If that's you... then you've found the right spot. Welcome!